Sachin Saga Is A Brand New Cricket Game For Android. Finally, Sachin Tendulkar, Himself Announced That His New Game “Sachin Saga” Will Release On December 7. This Is The Official Statement By Sachin Tendulkar. So, You Need To Wait – 15 Days. Beta Version Link Is Given Below. As You Know Sachin Saga Is Coming Out To Android On 7th December. But Beta Version Is Available. Today, We Are Reviewing Beta Version. The Game Starts With A Video And A Simple Tutorial In Which You Learn The Basic Of The Game. Half Of The Game’s Content Is Locked In This Version. So, You Can Not Enjoy Full Game In This Version. You Have Only Access To Legend Mode In Which You Complete Some Targets Like 25 Runs On 30 Balls. If We Talk About Graphics Of This Version – Then It Is OK As Comparison To WCC2. 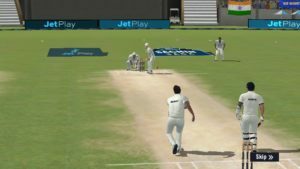 Player Reaction, Gameplay Is Not So Great Like WCC2, Hope Public Version Comes With Improved Graphics. The Player Needs Energy – After Playing Match, You Will Lose Your Energy Which You Can Restore With Diamonds. You Can Pay For It Or Get By Watching An Ad. Many Cricket Fans Eagerly Waiting For This Game. But According To The Latest Information, The Game Will Not Available Until 7th December. On December 7, The Stable Version/Official/Orginal Version Will Launch On Google Play Store. Sachin Saga Is Available For Pre-Register From A Long Time On Google Play Store. But Not Yet Released. Previously, They Set December 7 As Release Date. Sachin Saga celebrates Sachin’s 4th retirement anniversary! On this special day, as part of the mega launch plan, we are excited to announce a brand new feature tie up and an all new mode. Stay tuned and don’t miss the announcement on 22nd November for all the updates! With this new feature and brand new mode, we plan to take our game to every Sachin and cricket loving fan all over the world. Sachin has given us a lot of real life memories, it’s now time to make new, digital ones! Sachin Saga Hits Over 2,00,000 Pre-Registration In Just 5 Days. The Game Trailer Shows Graphics And Gameplay Would Be Better Than Other Cricket Games. Also, See – You Can Now Play Pac-Man, Google Cricket, And Solitaire With Google Play Games App. Sachin Saga Cricket Game Comes With Two Modes – Legendary Mode, And Events Mode. In Legendary Mode, You Play As The Master Blaster And Follow His Journey Of 24 Years. In Events Mode, You Build Your Dream Team And Play Game As 11-Man Squad In Up To 50 Over Matches And Compete With Real Players. As I Say Above, Graphics And Gameplay In This Game Would Be Better Than Other Cricket Games. Some Features – Dynamic Camera Angles Lets You To Relive Your Shots From The Best Angles. Replay Camera – Watch The Shot That You Have Played. Watch Fielders Put Out The Ball From Thin Air To Take Stunning Catches. Fielder Actions In This Game Is Just Like Actual Game. Popular Stadiums Of All Over The World Are Featured In This Game. However, These Are The Only Hand-Written. Game Is Not Yet Released. Next Update Is On December 7.